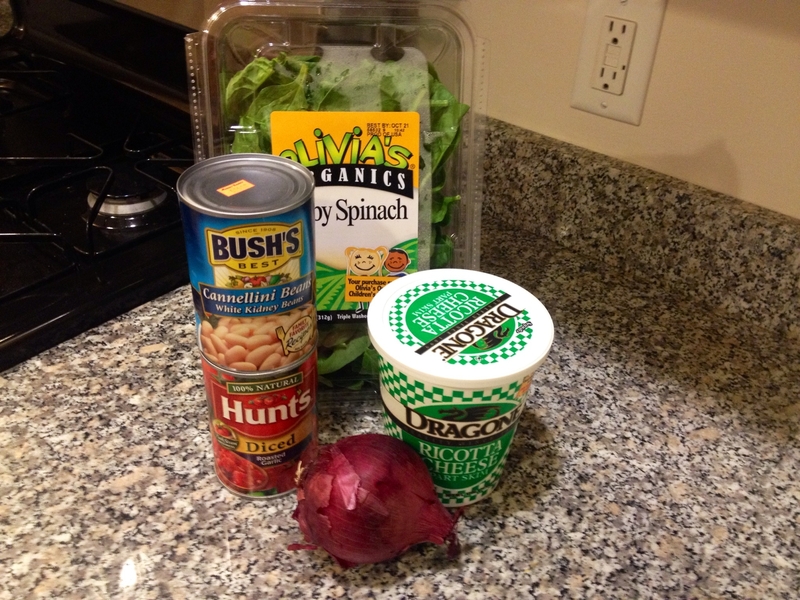 ← Quick & Healthy… Veggie Pot Pie! 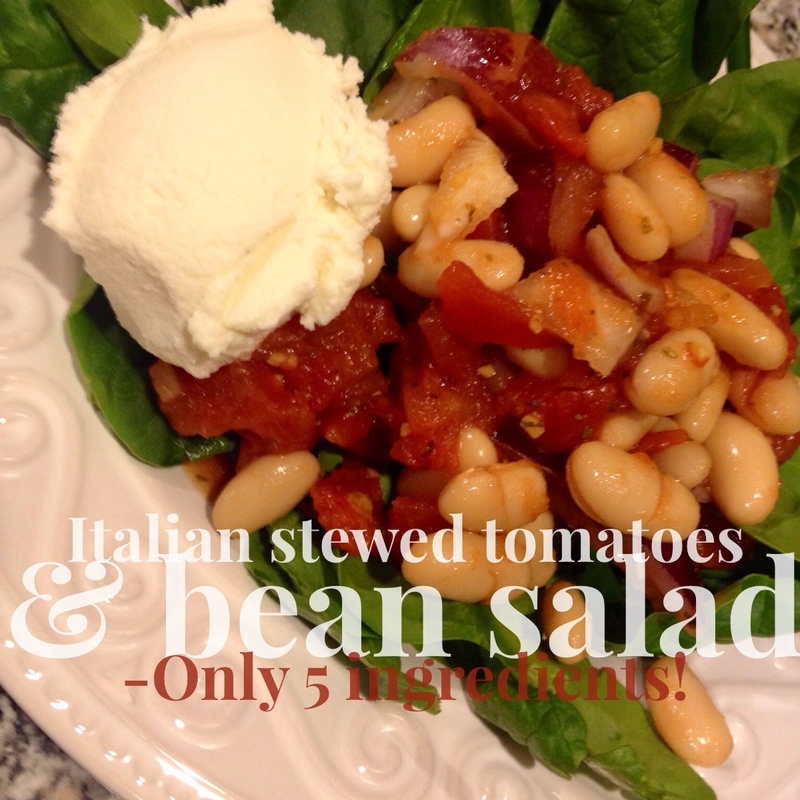 Literally a 5 Ingredient meal… Quick & Healthy! I love my job, and part of that comes from where I work! Family Practice Group is a family medicine office with the most caring and compassionate physicians, physicians assistants, medical assistant, and staff, that I have ever worked with. The practice is really forward thinking, so much that they have created Center for Integrative Care (CIC) were they have myself (dietitian/personal trainer), a behavior psychologist, a child psychologist and a licensed social working all in the office seeing patients on a daily basis. The practice truly believes in caring for mind, body and spirit! As a dietitian it is refreshing to see a medical practice embrace one of my favorite mantas’ “Food maybe your best medicine” as each medical team integrates nutrition as part of their care plans for all their patients. These physicians and their medical teams also practice what they preach! My Quick & Healthy post this week is inspired by a family medicine physician I work with Dr. Bari Brodsky. I often get to have lunch with Dr. Brodsky, she is not just passionate about giving the best care to her patients, she also has a passion for eating well. As you can imagine she is one busy women, but the production at lunch is what I love about eating with her, because she really walks the walk! 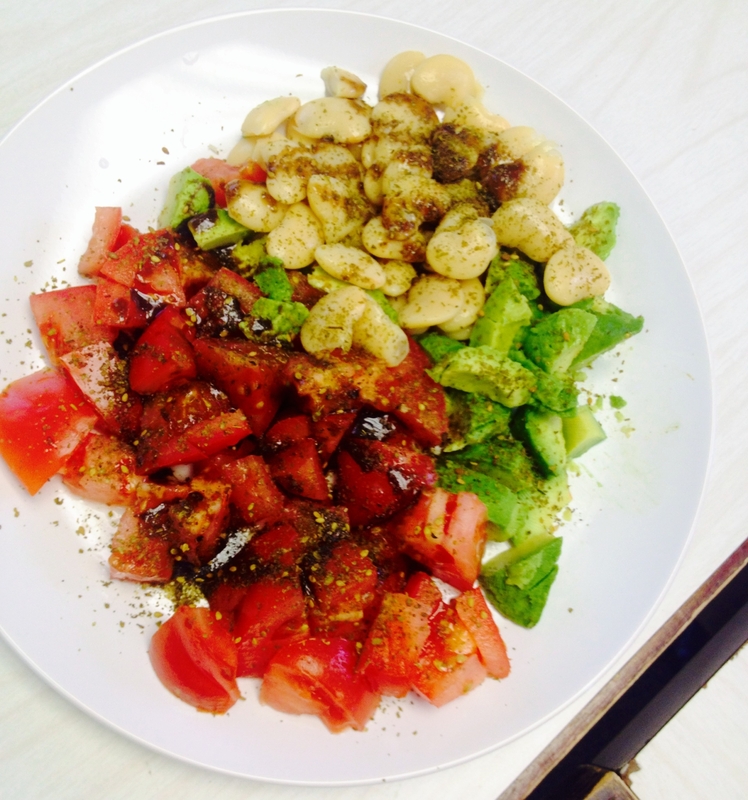 Out of her lunch bag she dumps a can of beans, whole tomatoes, whole avocado, seasoning etc… She meticulously chops her vegetables, dumps out the beans and adds her favorite spices, all while saying “Eating healthy can be this easy and cheap”. 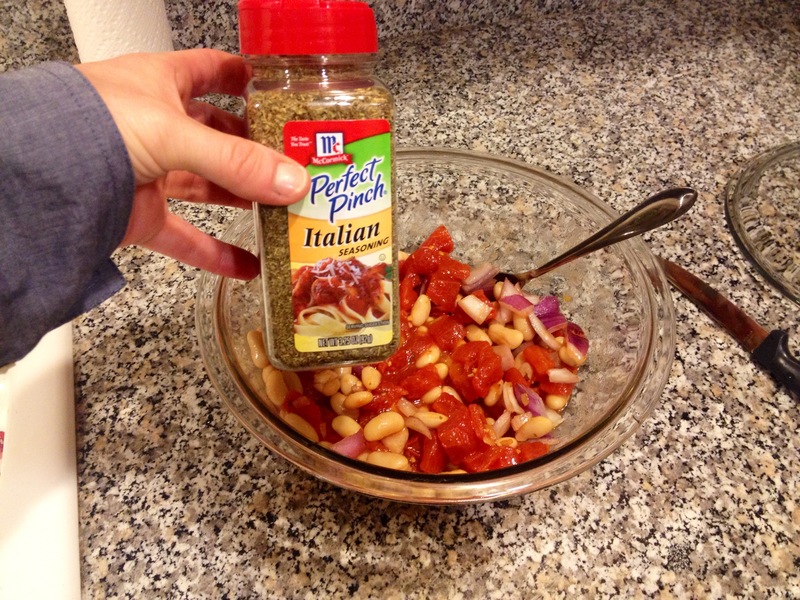 And the “Ooo lalas” that come from everyone walking to the lunch room over a meal that took 5 minutes and a few bucks to create, inspired my Italian Stewed Tomatoes and Bean Salad! 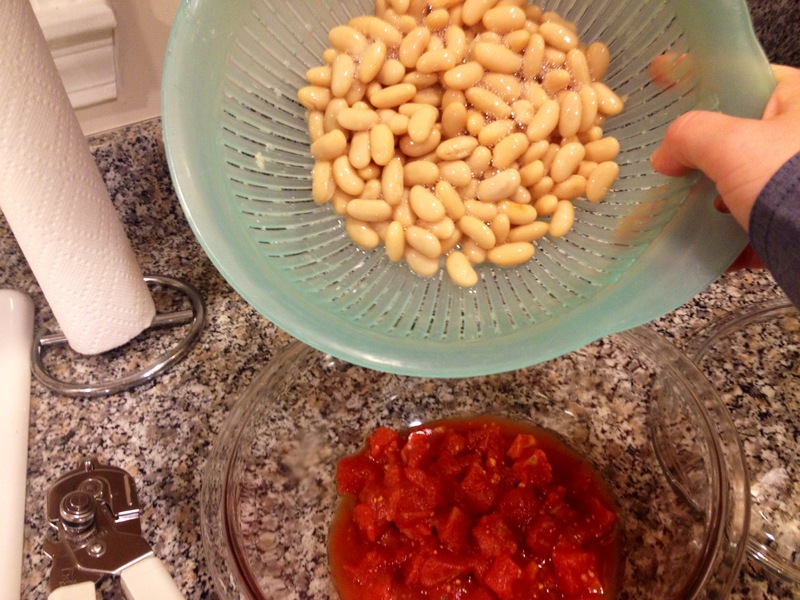 Step 1: Open the can of white kidney beans (drain and rinse), open canned diced tomatoes. Combine in a large bowl. 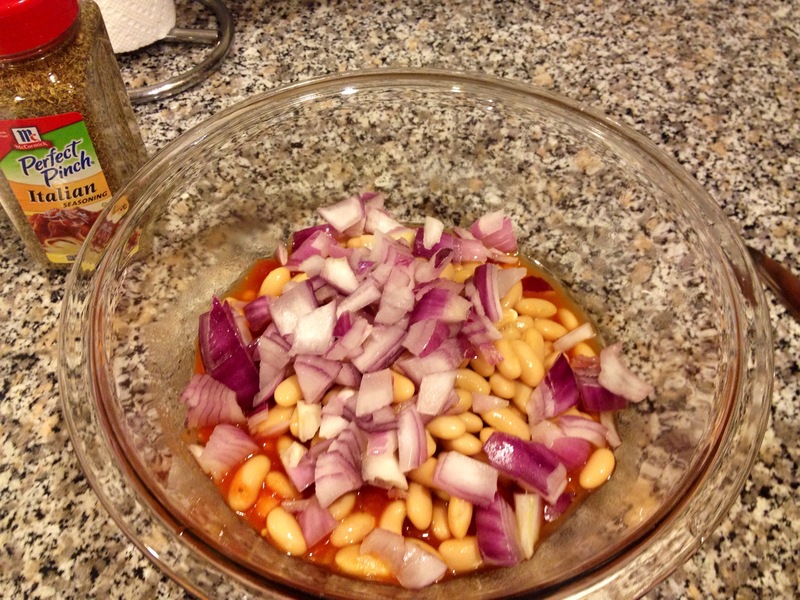 Step 2: Dice a red onion and add to the bean and tomato mixture. Step 4: Serve over 2 cups spinach and add 2 Tbsp of ricotta. Enjoy! My Challenge for you this week is to take Dr. Brodsky lead and don’t let the excuse of time and money get in the way of eating healthy, a simple and delicious meals is only 5 ingredients and 5 minutes away! This entry was posted in Lunch, Meatless Mondays!, Quick & Healthy, School Lunch, Uncategorized and tagged Cooking, food choices, High Fiber, Homemade, Quick, vegetables, Vegetarian. Bookmark the permalink.